There are a lot of Pool Heaters on the Outer Banks of North Carolina. 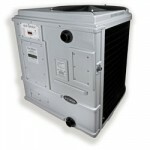 Its a hard desion to decide which pool heater is best for you and your property. 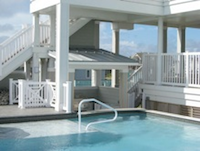 We are here to help give you the best information for you to make a quality desiion on your Outer Banks Pool Heater, Here is a list Top 5 Ways to heat your Pool on the Outer Banks. 1. Hayward’s HeatPro Heat Pump, a high-efficiency heater, gives you the ideal water temperature while using 80% less energy than natural gas heaters. 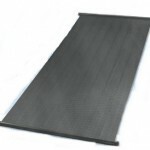 It offers an alternative way to heat your pool that is safe, reliable, and energy efficient. 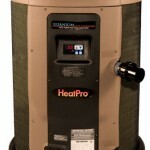 HeatPro takes the heat from the surrounding air and uses it to warm the water in your pool eliminating wasted energy. 2. Heat Siphon will keep on saving because it’s CORROSION PROOF. With an electrically isolated Titanium heat exchanger, PVC cabinet,stainless steel hardware it is Built to Last with designed in longevity using PROVEN RELIABLE HEAT PUMP TECHNOLOGY- it will DELIVER that fuel savings YEAR AFTER YEAR. 3.Sta-Rite MAX-E-THERM® Gas Heaters Sta-rite Max-E-Therm pool heaters put the latest technological advances to work to heat your pool quickly, efficiently, and with less pollution. Sta-rite’s Max-E-Therm state-of-the-art pool heater is rated at 84% efficiency — The most energy-efficient residential gas pool heater you can buy, saving you money and time by heating quicker. 4. The Hayward Universal H-Series Heater combines advanced technology with universal flexibility, making the Universal H-Series swimming pool heater an intelligent choice for any new system or existing system upgrade. The Universal H-Series heaters are an energy efficient and economical way to heat your swimming pool or spa. 5. Solar pool heaters use solar energy to heat and cool a swimming pool and are an environmentally friendly alternative to typical gas pool heaters. Solar Heating uses a series of panels to collect heat from the sun and transfer it to your pool. 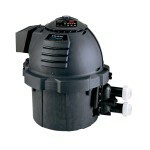 The heated water is circulated through your pool by the pool pump. Solar panel technology taps into our greatest free-energy resource, the sun, so you can enjoy comfortable water temperatures even in the cooler months. 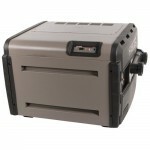 Adding a pool heating sytem to your pool gives you and your guests a much longer swimming season. Heating your pool will increase your pool usage by about 2 months . There are various ways to heat your pools and it’s important to understand your options so you can make the best choice for you and your family’s swimming needs. Call Barefoot Pool Service 252-564-9888 for a free pool heater consultation.